About Knightsbridge Roofing - Health & Safety & Our 10 Year Guarantee! We at Knightsbridge Roofing are Safe Contractor approved and Which Trusted Traders, feel we offer the complete roofing service in all aspects of roofing i.e. 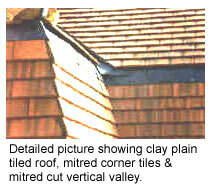 Slating and Tiling, Flat roofs, lead-works etc. 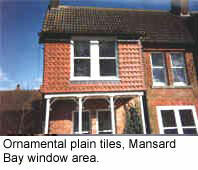 All works undertaken are carried out to a very high standard of care and workmanship. Our clients include many small and large developers plus Local Authorities, housing associations and Letting Agents. We are members of Construction line as well as CHAS approved and we are also members of the Confederation of Roofing Contractors and therefore can offer a 10 year insurance backed guarantee against all new roofs completed. Health and safety is a big part of our company and H & S Direct ltd are our dedicated health and safety consultants. We have also have in place the following Criteria listed below. £10 Million employers and £5 million public liability insurance in place. Such high standards in all aspects of our roofing work provides a reliable, dependable and quality roofing service to all our customers. 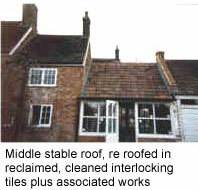 All work be it minor repairs or complete new roofs, can be undertaken. We will continue to build the company's future on a basis of high quality workmanship and maximum availability of service to meet our clients needs. Our work is our reputation and we at Knightsbridge never forget this.